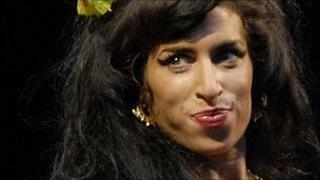 Singer Amy Winehouse will embark on a "one-off tour" in Brazil early next year, according to her website. The 27-year-old will play three dates in January as part of its Summer Soul festival, with an additional concert in Rio de Janeiro. The gigs will be Winehouse's first full live shows since 2008. They follow an impromptu set she performed during a charity club night last month at her local pub in Camden, north London. US singer Janelle Monae will support Winehouse on the dates, with rapper Mayer Hawthorne also on the bill of the Summer Soul gigs. Winehouse is currently working on songs for the follow-up to her 2006 record Back to Black. She can currently be heard on the Quincy Jones compilation Q: Soul Bossa Nostra, singing classic 1960s track It's My Party.